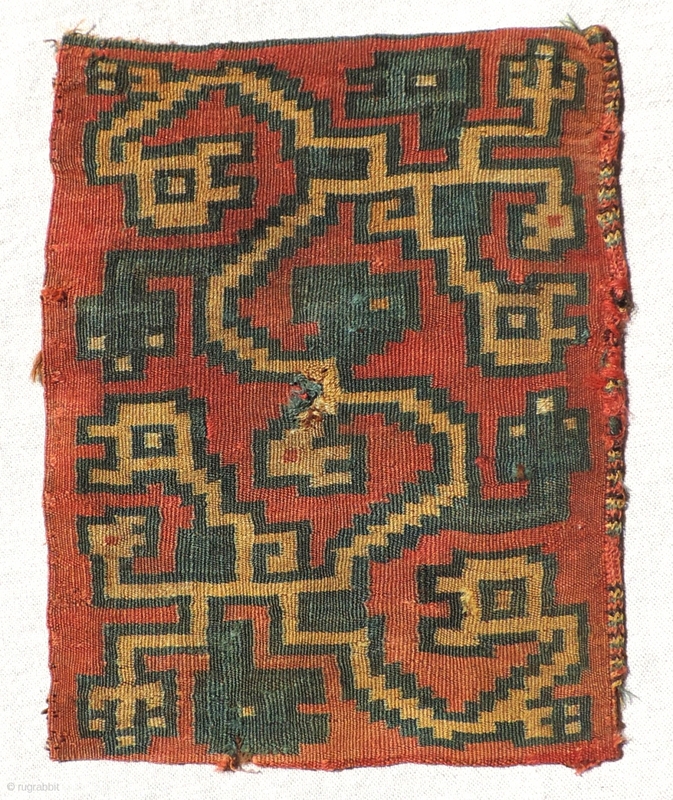 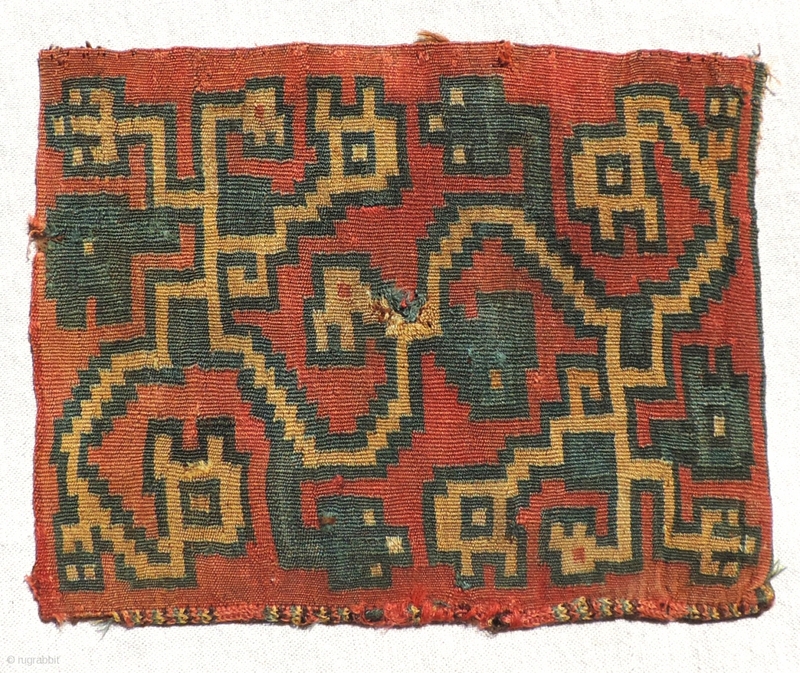 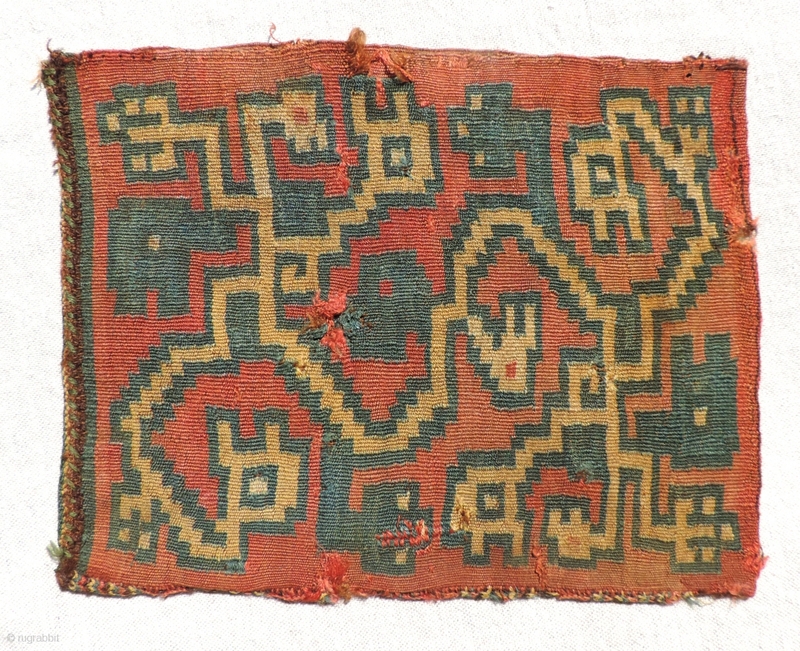 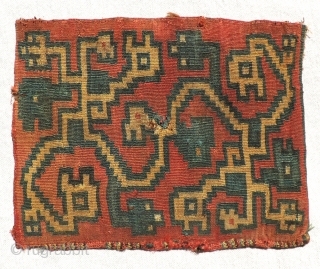 Fine Pre-Columbian tapestry bag. 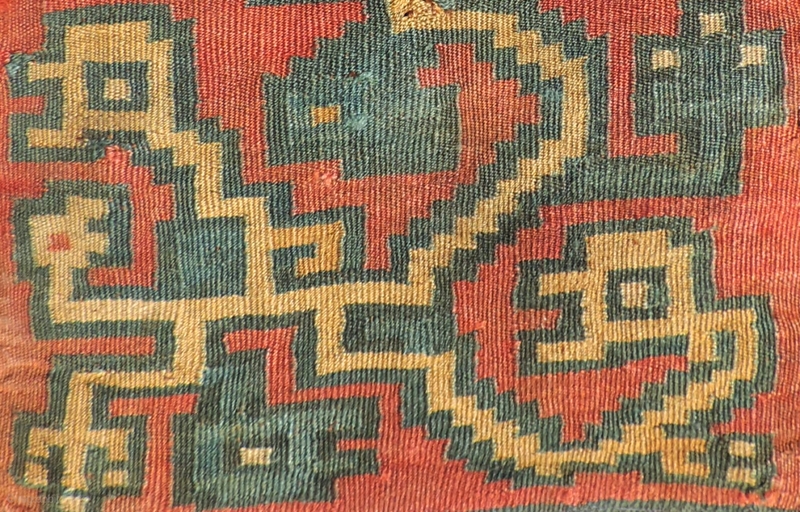 Nasca Culture a.d. 400 - 800. Stylized interlaced zoomorphic figures. 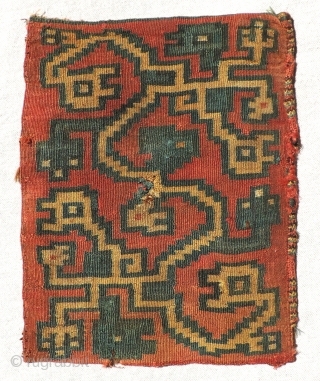 Size: 7 x 9 inches.